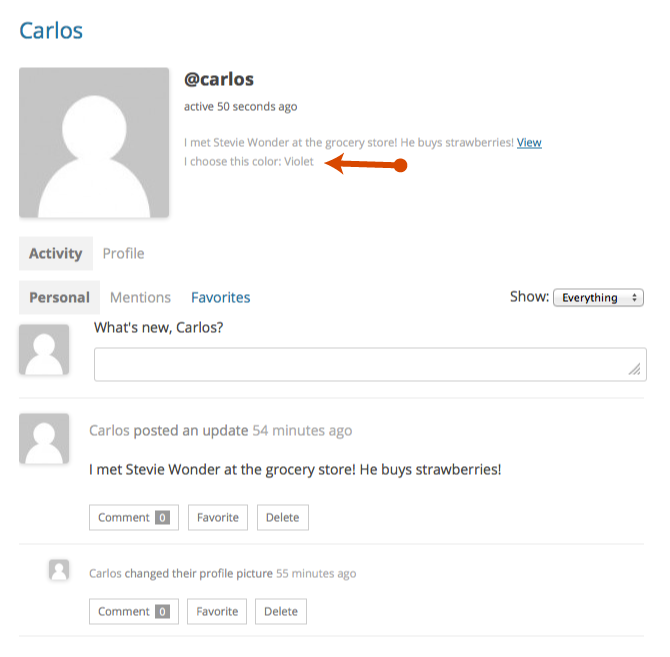 BuddyPress has some nice built-in tools for collecting data from your members. 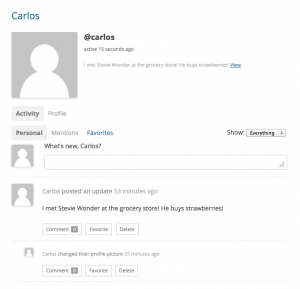 You’ll be calling the “extended profile data” or “xProfile” in BuddyPress-speak in your theme. You can retrieve and display this data without modifying template files by attaching a new function to an existing action hook provided by BuddyPress. For example, Carlos has registered your site and filled out the “Preferred Color” xProfile field you added in the profile form you built. And you’d like to display his preference in the header of his member profile. His member profile looks like this by default. //This is where the code to display the user data will go. 'field'   => 'Favorite Color', // Field name or ID. 'field'   => 2, // Integers do not need to be enclosed in quotes. But there’s a snag: what if the user didn’t input a favorite color? If the member’s favorite color isn’t specified, then the function outputs nothing.